Despite a population of just 3.8 million, New Zealand has always punched above its weight when it comes to music. That has been the case for the best part of fifty years. Proof of that is the roll call of artists and bands New Zealand has produced over the last five decades. This ranges from familiar faces like Split Enz, Crowded House and The Mutton Birds to Fat Freddy’s Drop, The Veils, Rhian Sheehan and The Phoenix Foundation, to relative newcomers Kimbra and Avalanche City. Recently, though, a new name can be added to this list Fazerdaze, which is the moniker of singer-songwriter Amelia Murray. Her career began as recently as 2014. That was when Fazerdaze decided to record some of the songs she had been writing. However, she didn’t head into one of the local recording studios to record what would later, become her debut EP. Instead, Fazerdaze waited until late at night, and transformed her bedroom into a makeshift studio. In the relative calm of the late evening, Fazerdaze set up her guitar, drum machine and synths. With all her equipment setup, Fazerdaze pressed record, and began work on what she modestly refers to as “bedroom recordings.” This became a regular routine, and eventually, Fazerdaze had recorded enough material for her eponymous debut EP. 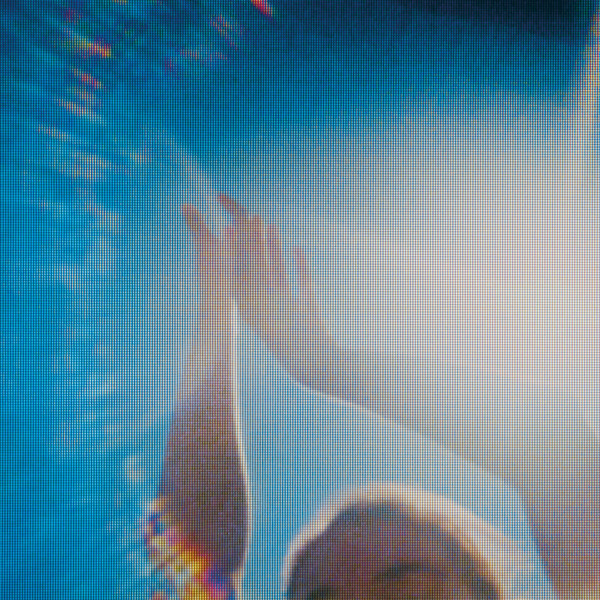 When Fazerdaze was released later in 2014, critics discovered a carefully crafted collection of dream pop, that had been penned, performed and produced by Amelia Murray. She was responsible for a collection of optimistic, sophisticated and laid back music. There was also a degree of intimacy and warmth to Fazerdaze, which won over critics on three continents. Initially, the Fazerdaze EP received widespread critical acclaim from critics in New Zealand, Britain and America. Soon, though, Fazerdaze was receiving praise and plaudits from critics much further afield. Among Fazerdaze’s biggest fans were the UK-based NME, and New Zealand’s Sunday Star Times. They were so impressed that they included the Fazerdaze EP in their year-end Best of 2014. For Fazerdaze, her eponymous debut EP had launched her nascent career. The next three years would be a roller coaster ride. As 2015 dawned, Fazerdaze was keen to build on the momentum created by her eponymous debut EP. Fortunately, Fazerdaze and her band were scheduled to embark upon what was a gruelling touring schedule. Before that, Fazerdaze opened the 2015 New Zealand Silver Scroll Awards with a breathtaking cover of Marlon Williams’ Dark Child. This was the perfect start to what would be one of the most important years of Fazerdaze’s nascent career. By then, Fazerdaze and her band had been booked to support two major New Zealand acts during their 2015 tours. This included the Unknown Mortal Orchestra, which featured musicians from Auckland, in New Zealand and Portland, Oregon. Each night, a new and much wider audience were introduced to Fazerdaze’s music. Opening for the Unknown Mortal Orchestra so early in her career was the opportunity of a lifetime for Fazerdaze. Night after night, a much wider audience were introduced to her music. This opportunity of a lifetime Fazerdaze grabbed with both hands. After touring with the Unknown Mortal Orchestra, there was no rest for Fazerdaze. Soon, she and her band would head out on tour to support another successful New Zealand musician. This time it was Connan Mockasin, from the small beachside town of Te Awanga, that Fazerdaze was supporting. Connan Mockasin had spent the last ten years touring the world, and was now beginning to reap the rewards. For an up-and-coming artist like Fazerdaze this showed what was possible. Already though, Fazerdaze had already achieved a lot in a short space of time. She had released her eponymous debut EP, which received widespread critical acclaim and toured with two established acts. Not many artists achieved this so early in their career. It augured well for Fazerdaze’s future. In 2016, Fazerdaze embarked upon what was her first British tour. She made many new friends in Britain, before heading home. Later in 2016, Fazerdaze appeared at Australia’s Bigsound music conference and at the Red Bull Music Academy in Montreal. Fazerdaze had packed a lot into the space of two years. Especially considering she had been writing and recording her debut album Morningside, which was recently released on Grönland Records. Morningside marked the start of a new and exciting chapter in the career of Fazerdaze. Last To Sleep opens Morningside and sounds like a guitar driven slice of indie rock. Just a bristling guitar accompanies Amelia Murray’s vocal which sits back in the mix. At 0.46 the thunderous rhythm section enter, and power the arrangement along. They’re joined by synths that beep, squeak and buzz as the song heads in the direction of dream pop. Latterly, the arrangement builds and Amelia’s vocal is dwarfed by buzzing synths, a driving rhythm section and bristling guitars during this memorable and melodic fusion of indie rock and dream pop. Lucky Girl bursts into life with the rhythm section and choppy guitars and shimmering, effects laden keyboards power the arrangement along. They add an urgency to the driving, choppy arrangement. Meanwhile, Amelia delivers a hopeful, dream pop vocal, as the song heads into anthem territory. Later, the arrangement becomes a wall of sound, as Fazerdaze continue to inject a degree of urgency as this fist pumping anthem unfolds. A buzzing synth and the rhythm section combine to create the dramatic backdrop to Amelia’s dreamy and soul-baring vocal on Misread. Although the vocal is mixed back in the arrangement, it still plays a leading role and is key to the sound and success of the song. Meanwhile, drums pound as the bass and a scorching guitar solo drive the arrangement along. Later, there’s a swagger to Amelia’s vocal, before the song reaches a crescendo. By then, it’s obvious that Misread is sure to be a festival favourite during the summer months. Sci-fi synths give way to the rhythm section, chiming guitars and buzzing, droning synth on Little Uneasy. Together, they set the scene for Amelia’s wistful, angst-ridden, dream pop vocal. Meanwhile, the arrangement twists and turns, growing in power as it ebbs and flows, revealing its sonic secrets. They come courtesy of the rhythm section, guitar and synths. Together who create another powerhouse of an arrangement. Especially, Andrea Holmes’ drums. They provide the heartbeat, while Amelia’s guitar and vocal playing leading roles in this carefully crafted song that’s been inspired by both indie rock and classic dream pop. Fazerdaze drop the tempo on Jennifer, which initially, features a much more understated arrangement. Mostly, it’s synths and the guitar which accompany Amelia’s dreamy, almost ethereal vocal. At 0.50 the rhythm section join the mesmeric synths and soon, cooing harmonies. By then, the understated arrangement is no more. Having said that, the rest of Fazerdaze take care not to overpower Amelia’s vocal. They realise a beautiful song that harks back to dream pop’s past is unfolding and revealing its secrets. It’s without doubt, one of the highlights of Morningside. Straight away, it’s obvious that something special is about to unfold on Take It Slow. Guitars lock into a groove with the bass, while the drums lay down the heartbeat. Soon, the bass breaks free and ushers in Amelia’s tender, thoughtful vocal. It’s accompanied by bristling, chiming guitars and the rhythm section. Soon, though, they replace the vocal and enjoy their moment in the sun. That is until Amelia returns, and continues to deliver a tender, hopeful vocal. Later, harmonies that sit high in the carefully crafted arrangement and accompany Amelia, on a track which features Fazerdaze at their very best. For anyone who loves dream pop, this a song to cherish. Keyboards open Shoulders and join with the rhythm section and bristling guitar. They accompany Amelia’s ethereal dream pop vocal as the arrangement literally floats along. At 1.03 the arrangement becomes understated and briefly, allows the vocal to take centre-stage. Before long, the arrangement rebuilds, with the keyboards, rhythm section and guitar creating the perfect backdrop to Amelia’s beautiful, ethereal vocal. All too soon, though, Shoulders is over after less than three magical and memorable minutes. Just a lone bass synth opens Friends, before shakers accompany Amelia’s tender, wistful vocal. Then a wall of searing, blistering guitars join with the rhythm section and synth. A cymbal crashes as the song slowly unfolds. Sadness and emotion fills Amelia’s vocal which is akin to a confessional. Meanwhile, drums provide the heartbeat, as a bass synth buzzes and soon, a blistering guitar is unleashed. It soars high above the vocal and dominates the arrangement. Then the baton passes to the bass, before the guitar ushers Amelia’s vocal back in, before a buzzing bass synth enters and the song reaches a dramatic crescendo. When Half-Figured unfolds, elements of indie rock, grunge and dream pop combine. Not for the first time, there’s even a nod to the Jesus and Mary Chain, and even Teenage Fanclub and the Cocteau Twins. Meanwhile Amelia’s vocal is mixed way back in the arrangement and is cocooned within a rocky vortex. This comes courtesy of the rhythm section and guitars, that play slowly and deliberately. Later, a bristling guitar accompanies Amelia’s distant vocal before all too soon, Half-Figured reaches a dramatic and rocky ending after two genre-melting minutes. Beeps and squeaks combine with a chiming guitar on Bedroom Talks, which closes Morningside. Soon, the rhythm section enter, and combines with the guitar. They play slowly before Amelia’s dreamy, sleepy, ethereal vocal enters. It’s one of her best vocal and grabs the listener’s attention. Meanwhile, the rest of the arrangement is subtle and compliments the vocal. Guitars shimmer and glisten, while the drums reverberate and cooing harmonies float above the arrangement. It seems that Fazerdaze have kept one of the best until last on Morningside. It’s hard to believe that it’s only three years since Fazerdaze released their eponymous debut EP. Fazerdaze have come a long way since then. This includes recently releasing their much-anticipated debut album Morningside on Berlin based Grönland Records. Morningside is a carefully crafted album that was which was masterminded by the truly talented Amelia Murray a.k.a. Fazerdaze. She is responsible for an album of dream pop that quite simply, oozes quality. However, there’s much more to Morningside than just dream pop. There’s also elements of indie pop, indie rock, electronica and even grunge on Morningside. It’s a melodic and memorable album, where the hooks certainly haven’t been rationed. Several songs on Morningside head into anthem territory, and are best described anthems-in-waiting. They’re sure to become festival favourites over the summer months and hopefully, will introduce singer, songwriter and producer Amelia Murray, a.k.a Fazerdaze to a much wider audience. After all, songs as good as those on Morningside deserve to reach as wide an audience as possible. Especially anyone who loves dream pop. Morningside harks back to the glory day’s of dream pop, and is a reminder of the genre’s illustrious past. However, Morningside is also an album that will appeal to anyone who loves indie pop and indie rock. Quite simply, Morningside is an album that’s sure to appeal to a wide range of music fans. It’s the debut album of Fazerdaze who showcase their considerable skills during Morningside, which is the start of a new and exciting chapter in Fazerdaze’s career. Hopefully, Morningside is the next step in what will be a long and successful career for Fazerdaze. If they can continue to release albums of the quality of Morningside, then the future looks bright for Fazerdaze, who maybe, one day, will be added to the roll call of artists from New Zealand who have found fame across the globe? ← THE SEXADELIC DISCO-FUNK SOUND OF…SUSANA ESTRADA.